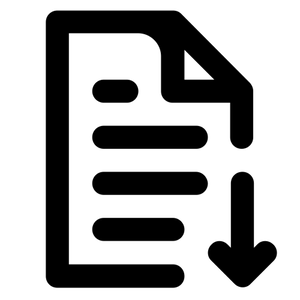 Download the Notes regarding the Connecticut military census. 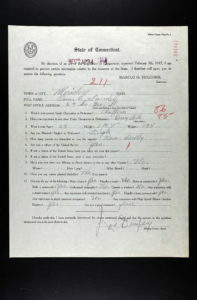 Walter Clark military census papers, 1917. mss 70774. Connecticut Historical Society. Download the Sample military census form. Connecticut State Library. Download the Minutes from the meeting of the military census committee, February 20, 1917. Walter Clark military census papers, 1917. mss 70774. Connecticut Historical Society. Download the Letter to Mrs. Harriet Tallmadge regarding two men who refused to respond to the military census. Walter Clark military census papers, 1917. mss 70774. Connecticut Historical Society. The Bridgeport Evening Farmer. 7:2-3. February 20, 1917. Chronicling America: Historic American Newspapers. Library of Congress. “When Books Became Enemy Propaganda,” by Mark Jones. Connecticut Explored, Fall 2014.